Joshua Hillmann, a St. Louis native, earned a Bachelor of Music degree in piano performance from the University of Kansas and a Master of Music degree in piano performance from Arizona State University, where he is currently a DMA candidate in piano performance. He has won many awards as a pianist, including “Most Outstanding Arizona Pianist” at the 4th USASU Bösendorfer International Piano Competition. 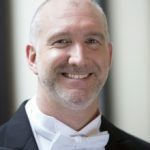 Joshua has appeared with many professional choirs including the Grammy-winning Phoenix Chorale, Anúna, Seraphic Fire, Spire Chamber Ensemble, and the Grammy-winning Kansas City Chorale. He’s been a featured soloist with The Phoenix Symphony, Arizona Bach Festival, and ASU. 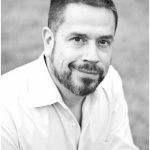 He holds a adjunct faculty position at Grand Canyon University, is a staff musician at St. Barnabas on the Desert, and also teaches from his private piano studio in Chandler.